Operation Christmas Child is now in its 25th year and has seen children and adults up and down the country wrap, pack and send 113 million gift-filled shoeboxes to children in need overseas. For the last 7 years Shoe Zone has supported Samaritan's Purse in their Operation Christmas Child Campaign, by allowing our stores to be drop off points for filled shoeboxes. 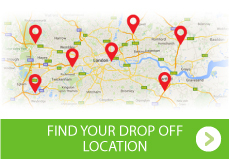 This year we continue to support Operation Christmas Child by promoting the campaign as well as supplying empty shoeboxes to volunteers and having stores as a drop off point. 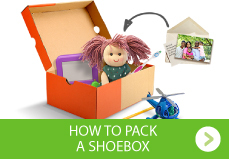 The majority of our stores will collect shoeboxes between 1st & 25th November 2018. 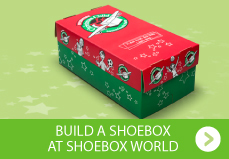 It's not too late to go online and send a gift - filled shoebox!